There’s décor I like, and then there’s décor I can’t. stop. thinking. about. Every week I showcase an item that I’m currently obsessing over, aka a “Funk favorite.” I’m clinging to the last few weeks of summer, and these 100% cotton Ojai bath rugs by Quiet Town Home are high on my list. Quiet Town is a labor of love by Brooklyn-based couple Michael and Lisa, who created their business with the intention of bringing an authentic, rustic style to functional necessities. 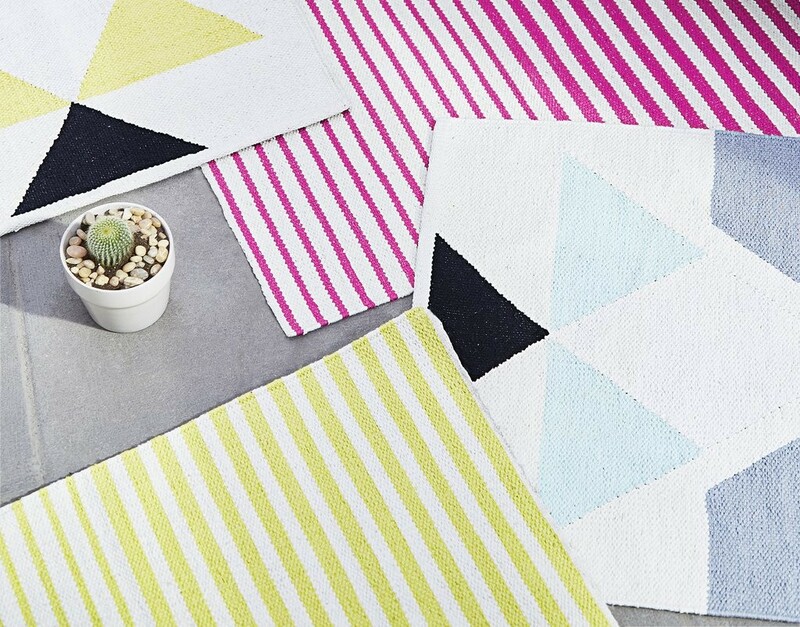 From breezy shower curtains and hooks to hand-woven rugs, the company strives to make natural, ethically sourced products while giving back to the community. I’m enamored with Quiet Town’s compassionate honesty as well as their dreamy product selection. Case in point: the summertime charm of the Ojai bath rug. Named for the upscale, ecologically friendly California vacation town, this hand-woven mat looks fit to unroll on a beach, yet is perfectly suited to sitting pretty in a bathroom. Quick to dry and pleasantly textured, this Turkish Kilim-style rug features a chic banded pattern and is 100% breathable cotton. The Ojai comes in four whimsical colors: Sunset, Moon Jelly, Hike, and Night Ride.